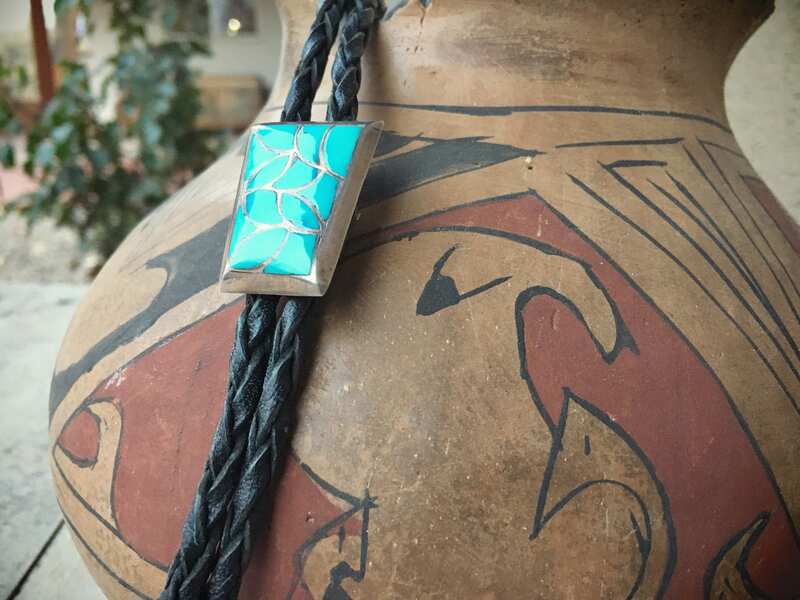 Here we have a modernist Zuni inlay bolo tie in which bright blue natural turquoise is set in silver, in a fish scale pattern. 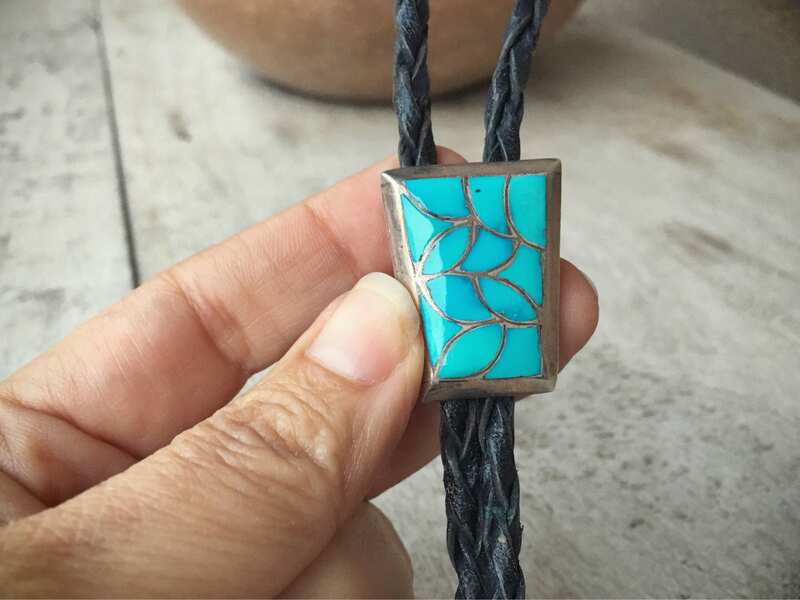 This type of work is called "channel inlay," whereby pieces of turquoise are separated by thin borders of sterling silver. It is a complex process in which the artist cuts and forms the stones precisely to fit the shapes created by the silver outline. In this case, the result is a beautiful mosaic. This style was pervasive in the 1970s. 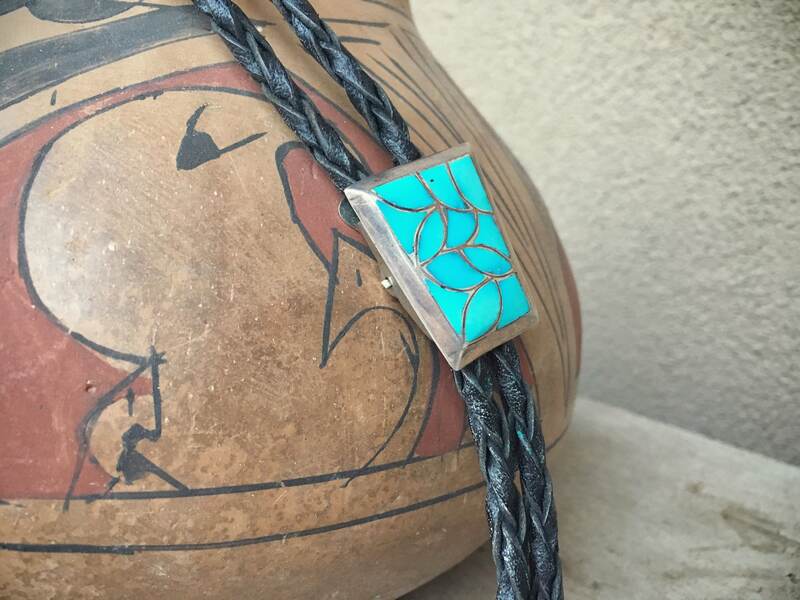 As the piece is not signed, we can't say with certainty that it is Native American. However, we believe it is Zuni. 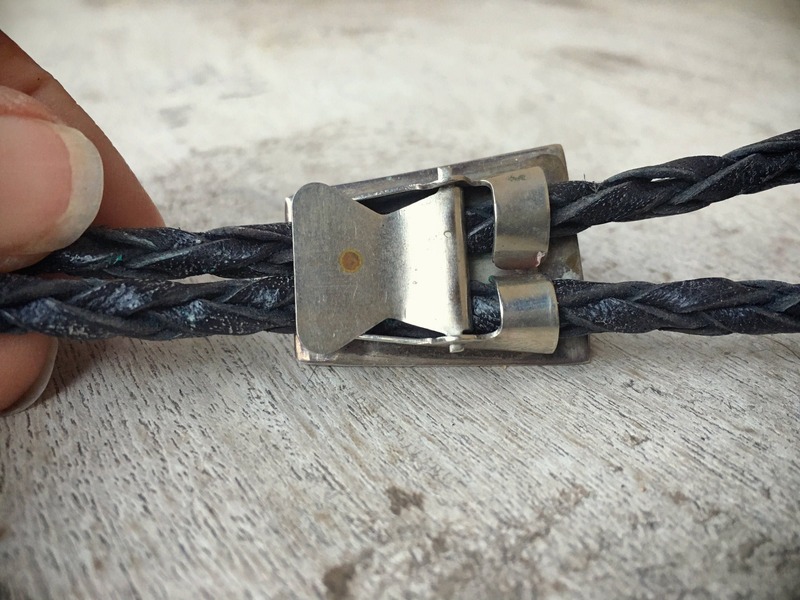 The bolo measures just under 1" at the widest point, by about 1-1/4" long. 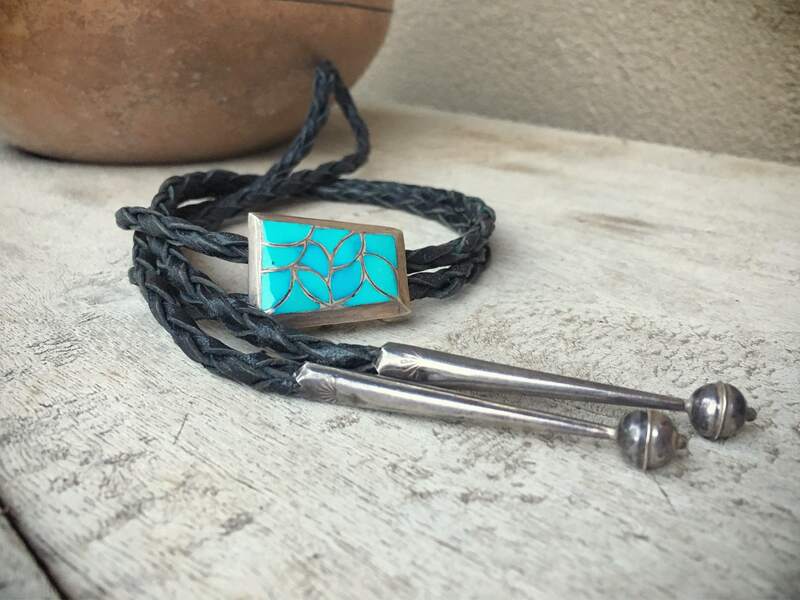 The slider (primary bolo piece) has a Bennett clasp, black leather lariat, and sterling silver tips. The bolo slider is in good vintage condition. 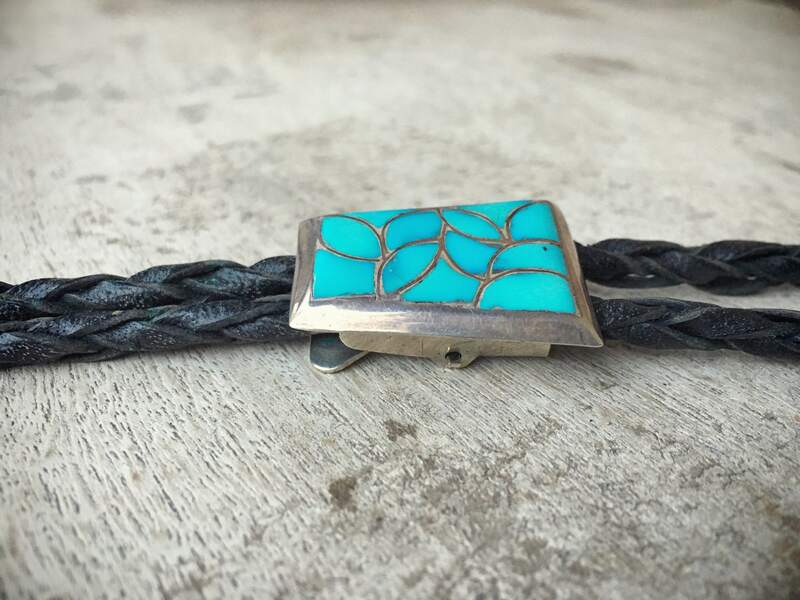 A smallish vintage bolo with big presence.